Fred Van Lente has worked at Marvel on comics and games, Telltale with Justin on the Walking Dead: Michonne. Fred has worked on such titles as Amazing Spider Man, Incredible Hercules, Iron Man, GI Joe, Conan the Barbarian, and the books Action Philosophers and Action Presidents (HarperCollins Kids). Fred also created the awesome book Make Comics Like the Pros, with the amazing Greg Pak. Listen to hear Fred's tale about breaking into the comics industry, how it's different from writing for games, and the stories behind Men in Black and Cowboys and Aliens. 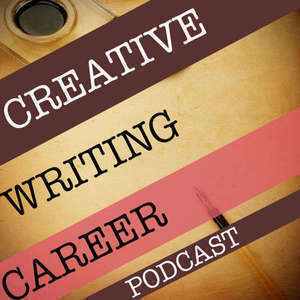 And CREATIVE WRITING CAREER 2 the #Audiobook is now available. Exciting!